Multiple Varieties Series bench card example. 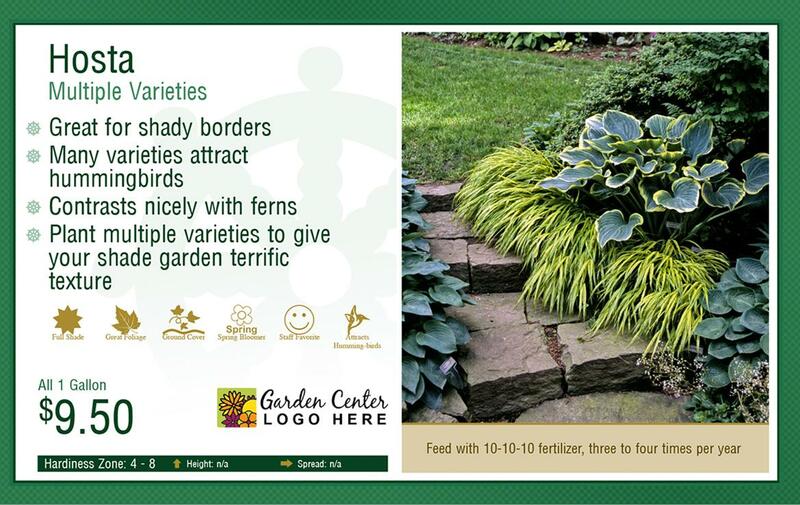 Genus: These are broad based to cover plants within a given genus like 'Hosta' or 'Agastache'. 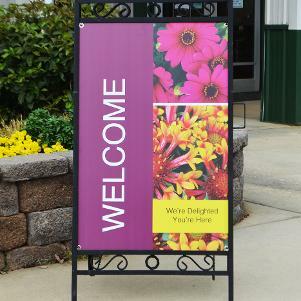 Genus+species: At times a genus is too broad so we have it narrowed down to genus and species like 'Acer palmatum'. 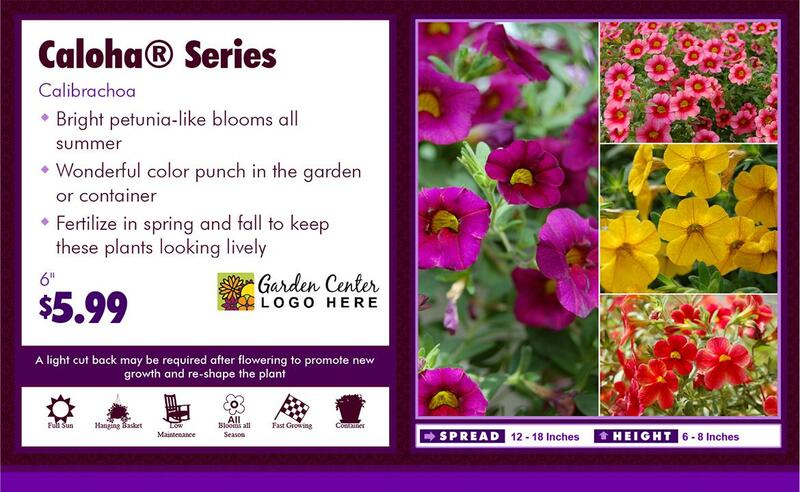 Series: These are a bit more specific and are for series like 'Aloha Calibrachoa' or 'Angelonia angustifolia Angelmist™'. 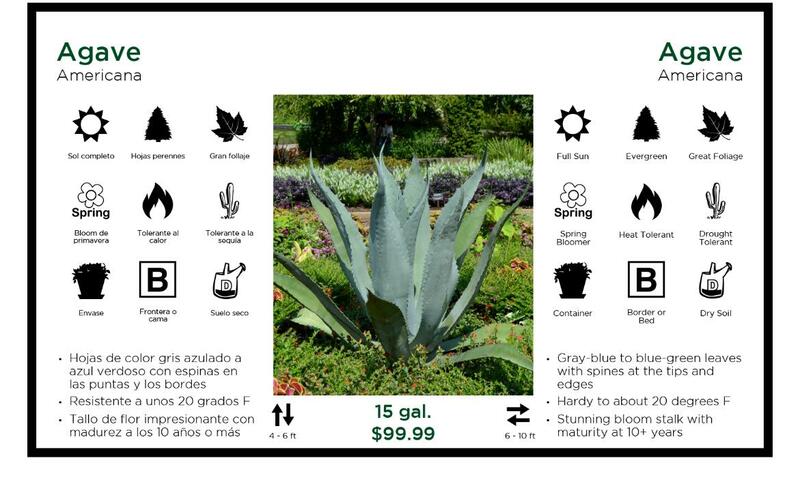 When you browse the plant database, select 'Multiple Varieties' as the plant type in the drop down and you can then modify the appropriate records to meet your needs. When you browse the plant database, select 'Multiple Varities' in the plant type dropdown and then select what you need.